WhatsApp has quietly extended the time window in which users can delete a message they already sent to a person or group in the latest version of the popular messaging app. First noticed by WABetaInfo and reported by The Verge, the change in v2.18.31 means users now have up to one hour, eight minutes, and 16 seconds to "delete for everyone" any message already sent over the platform, rather than the previous time limit of up to seven minutes. It's not clear what prompted the specific limit change (other than the value being equal to 4096 seconds, or 2^12) and there's no mention of it in WhatsApp's support pages. Nevertheless, users now have a much longer time period in which to delete individual messages or entire chat threads either before or after they're read. 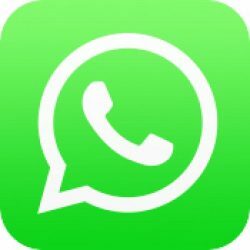 The "delete for everyone" option was introduced last year, but WhatsApp still lacks a self-destructing message feature like the one found in Telegram, where users can set a countdown on a message in the device-specific secret chat mode. As soon as the time runs out, the message disappears from both devices. That's good - I can't stand not being able to delete messages in Facebook Messenger and other apps like Twitter.